In between is where Michael Sera thrives. He travels back and forth between cultures, past and present, business and community work, attempting to help people understand each other. Every other month, Sera travels to Japan for his consulting firm, which is focused on “bridging the technology and culture gap between Japan and North America.” His background in semiconductor technologies allows him to interface with Japanese customers and with the American semiconductor manufacturers. But it’s not just about technology, he explains. The Japanese are adamant about quality. U.S. suppliers sometimes don’t understand why it matters to their Japanese customers that there’s a scratch on a case or if a label’s incorrect. If the outside is poorly managed, the Japanese can’t imagine what the insides look like. “I help bridge that gap,” says Sera. For such questions, he might have asked the late curator and co-founder of JAMsj, Jimi Yamaichi, for advice. 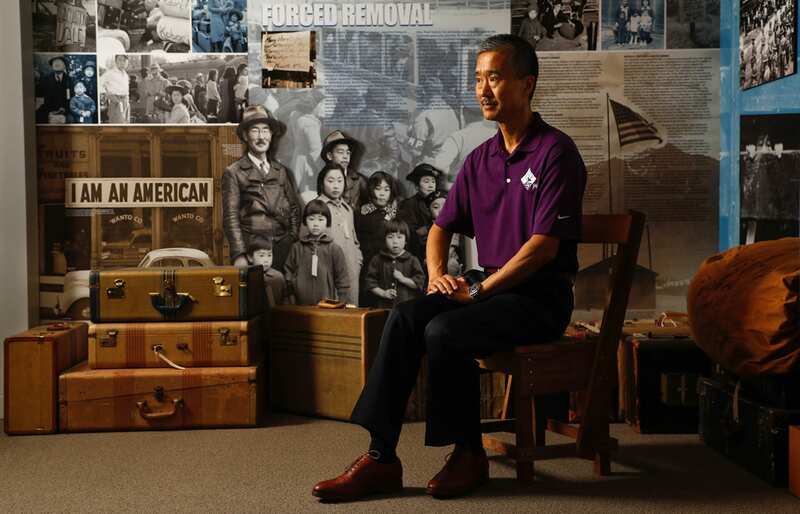 As someone who lived through the internment first hand, he was a wealth of information as well as a craftsman. He saw his life as an example, working tirelessly until he passed away at 95. Duty to tradition, family and community informs Sera’s approach. Sera likes to finish the museum tours he gives in both English and Japanese with the story of the 442nd Infantry Regiment, composed of second-generation American soldiers of Japanese ancestry who fought in World War II—who, like Sera, helped to bring understanding through their actions. Learn more about the Japanese American Museum of San Jose, located in San Jose’s Japantown.